﻿ The Cubs lost 13-4 to the Kansas City Royals on a gorgeous sunny day today in Mesa in front of 5,529 fans. 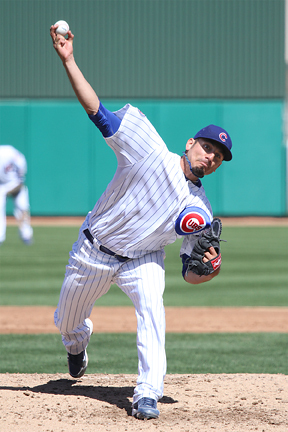 Matt Garza started today’s game for the Cubs and struggled with control especially in the first inning when he allowed 5 runs and walking 3 batters. In total, Garza gave up 6 runs, 4 hits, 4 walks and 4 K’s in 2.2 innings pitched. Jay Jackson and Justin Berg each gave up a pair of runs in 2.1 and 1 inning respectively while Esmailin Caridad allowed 3 runs in the 9th. Jeff Stevens and Carlos Marmol each threw a shutout inning. Marmol fanned two of the three Royals he faced and has been dominant this spring, still sporting a 0.00 ERA. 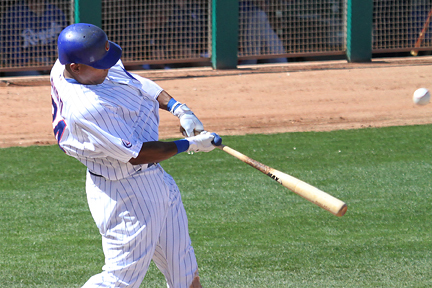 Marlon Byrd came into the game hitting .611 and went 2 for 2 with a home run, he’s now hitting an insane .650. I hope he saves some of this for the regular season. 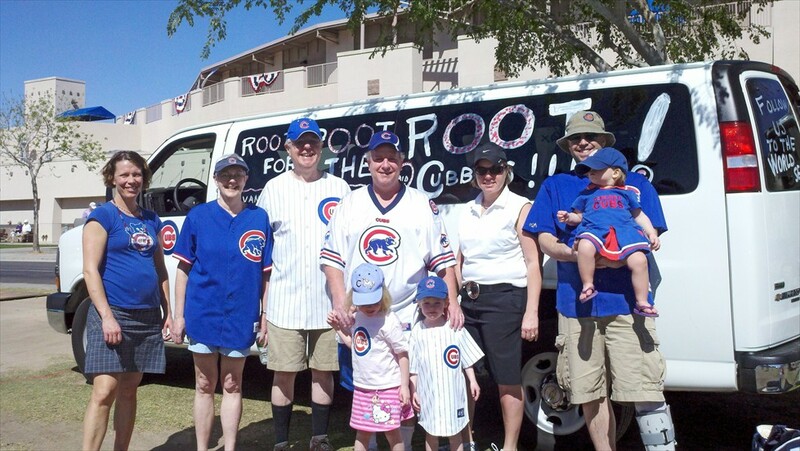 Not alot of other excitement for the Cubs at the plate today. Josh Vitters hit a double to the alley in left center and then came back later and hit another one very close to the same spot but the KC outfielder was positioned better and was able to run it down and make the catch. Matt Garza came out of the dugout by himself when the Cubs took the field at the beginning of the game he did a big high hop over the first base line and when he landed the rest of the team came running out. You know how superstitious baseball players are, after Garza’s rough first inning we may not be seeing the exact same maneuver prior to his next start. Non-Roster invitee Lou Montanez had a single in the 7th inning and as he was rounding first he slipped and took a major face plant into the dirt. You just have to get up and pretend like it’s no big deal after that happens. 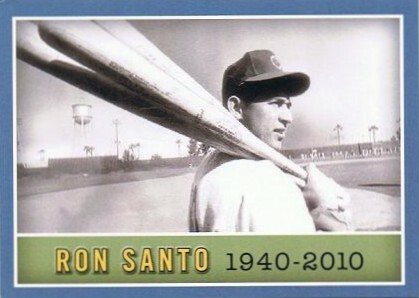 Tomorrow on the 10th of March, the Cubs and the City of Mesa are honoring Ron Santo with a pre-game ceremony. Here is a sneak preview of the Santo card they’re giving out. Photo of Ron from 1965 spring training at old Rendezvous Park.